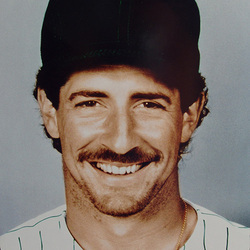 Mike Pagliarulo was a third baseman for Coach Ron Fraser's Hurricanes from 1979 to 1981. He hit .315 in 176 career games, including his best .333 as a sophomore with 5 homeruns and 49 runs batted in in 1980. He ranked in the Top Ten in career doubles with 41, triples with 10. An integral part of Fraser's 1981 squad that set school records for wins, winning percentage and attendance, he hit .304 with six home runs and 40 runs batted in. Following that season, he was drafted by the New York Yankees in the 1981 Major League Baseball Draft.